Electrify your next tailgate, barbecue, or backyard cookout with the San Diego Chargers Steak Knives Set of 4. 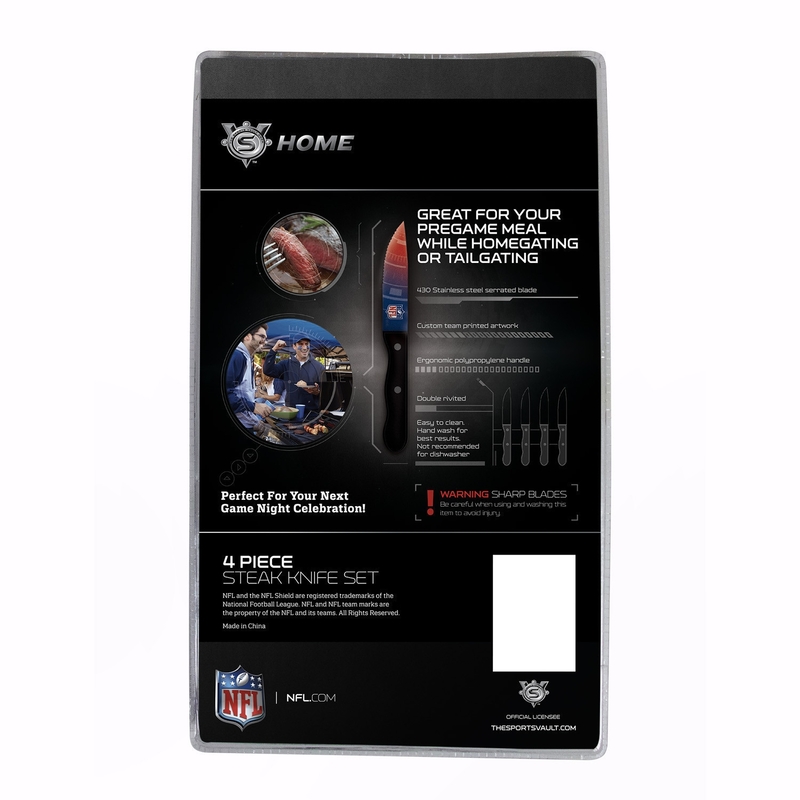 These Nfl officially licensed set of knives feature brilliant Chargers team colors on the handle and several graphic elements on both sides of the blade. The blade have been dipped in surecoat to ensure your knives maintain their allure for several touchdowns to come. Each set of San Diego Chargers Steak Knives include stainless steel blades with a serrated edge to make cutting your favorite steak an effortless ordeal. The handles are made from a non-slip polypropylene material for enhanced comfort. The blade is securely held in place with two ultra-durable stainless steel rivets. 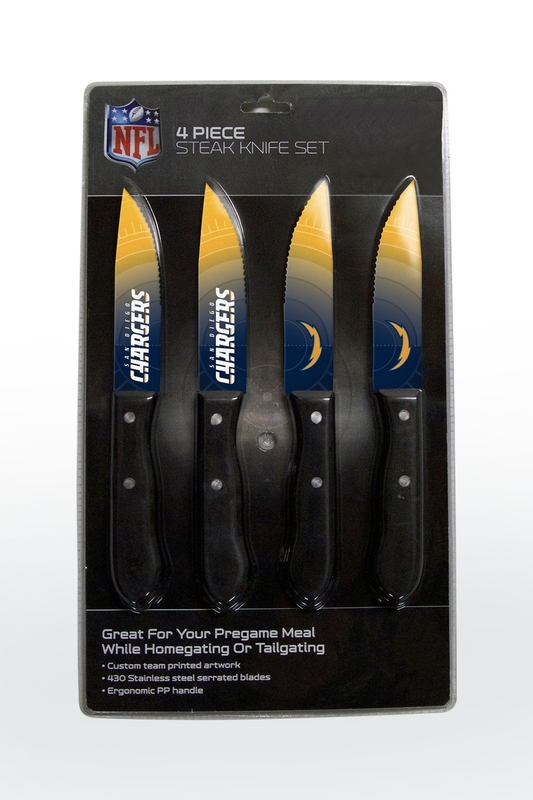 Take your game day celebration or ritual to the next level with the San Diego Chargers Steak Knives Set of 4. Whether kept as a keepsake or gifted to another fanatic, this iconic set of Nfl officially-licensed knives are sure to please. 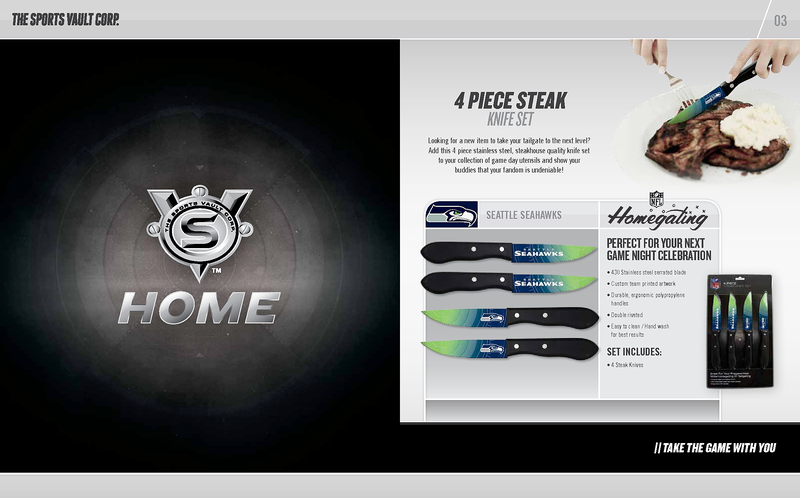 Celebrate the home team and order the San Diego Steak Knives Set of 4 today.